Released: February 28, 2014. Directed by: Jaume Collet-Serra. Starring: Liam Neeson, Julianne Moore, Scoot McNairy. Runtime: 106 min. 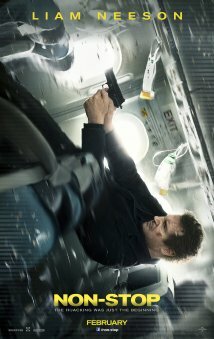 As a film filled with enough red herrings to keep you guessing the whole way through, “Non-Stop” works as an effective mystery. It proposes the idea of what would happen if a trusted figure of authority turned into a supposed criminal; how would you feel about the state of national security? Not very good. It answers this in an action vehicle for Liam Neeson, who has taken to action films a bit later in his career than usual action stars. It just shows that he’s a versatile actor; and at least his characters have a good amount of humanity. 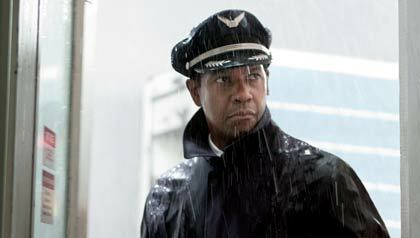 Bill Marks (Neeson) is a struggling alcoholic on an ordinary flight as a U.S. Air Marshall. Partly through the flight, he receives a mysterious text from somone on the same plane – on a secure network. The text says that the texter will kill someone every twenty minutes unless the killer is paid $150 million dollars in an off-shore account. How do you get away with murder on a crowded plane, you might ask? Well, this film shows pretty innovative ways. Marks must spring into action to save the people he pledged to protect, and simultaneously clear his name. 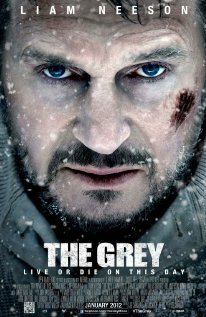 Neeson’s character might not be as impressive as his one featured in 2012’s “The Grey,” as far as the most human characters he’s portrayed in action flicks, but Marks is a decent character. Before I get into the character, it’s getting harder to differentiate some of Neeson’s characters… especially when some have the same initials. 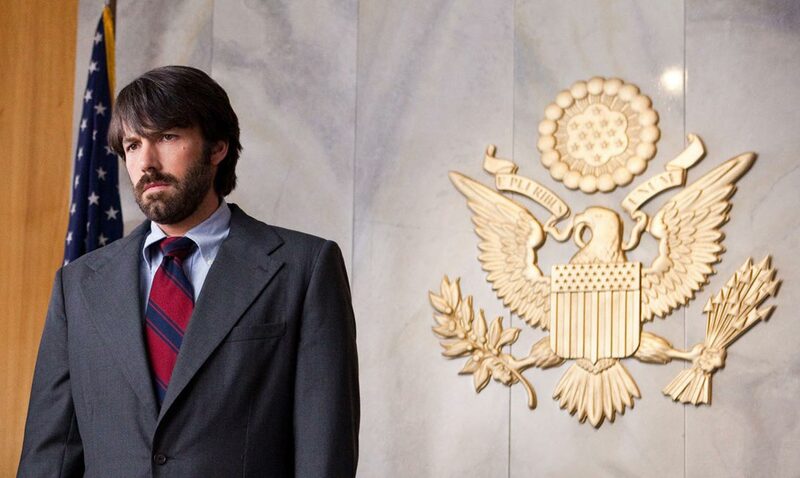 This film he’s Bill Marks, and in “Taken” he’s Bryan Mills. I’m bound to mix those up sooner than later. Anyway, Marks is motivated to protect the people of the plane because it’s his job, and he’s motivated to catch the suspect to clear his name. (Don’t have a cow, I don’t consider a major spoiler since it’s exposed in the film’s trailer.) A short list of suspects become apparent when they look for any plane patrons using their cell phones on the plane’s monitors. I won’t say who the suspects are narrowed down to, because that’ll just be boring; but they’re mostly just generic stereotypes representing a lot of cultural make-up, but you know the filmmakers aren’t going to make the Middle Eastern the perpetrator in a terrorism film. Because that might just cause an uproar. (Is that racist to assume that?) This is a terrorism film that is able to bend in suspsense in such a taut environment, something directors like Wes Craven are capable of, shown in 2005’s half-political thriller “Red Eye”. The film’s actually pretty fresh, too. It’s not “Snakes on a Plane” fun, because Neeson repeatedly telling people to sit down and shut the front door becomes irrating after awhile. Something else that doesn’t help is that the action takes about 25 minutes to get into; and while there’s decent suspense welded in, the action isn’t non-stop. It comes and goes, but what a deceiving title. The only thing that doesn’t stop is the plane. Part of the problem with the action is the taut setting, it’s not a lot of room for the stars to beat the crap out of each other or anything like that; or shoot off a gun, since they’re in a plane. The cinematography is decent, there’s a sequence in the beginning where the world is seen through a “drunken vision” that isn’t that great. Everyone’s focused but the background is blurry. Wouldn’t alcoholics develop a tolerance to alcohol after awhile and it’d become harder and harder to get hammered? The supporting cast is filled by Julianne Moore, who brings a good performance to the film; and damn, she is looking great for someone who’s fifty-three years old. Academy Award winner Lupita Nyong’o (“12 Years a Slave”) is in the background in her second movie role, as a stewardess. Scoot McNairy’s featured, too, and I think he’s just a great supporting presence. A star of the film is the great sound editing, and awesome sound effects; especially when turbulence is present. The flick’s weak spot might just be the lackluster reveal of the perpetrator’s motivations. Just didn’t do it for me. And for a mystery, there are a few too many “Why did that happen…?” and “How does that make sense…?” situations throughout. This also has probably the most awkward exchange of dialogue as the final lines so far this year. All in all, it’s a decent watch and it keeps you guessing throughout. That’s the intention of a mystery – and this is a capable one. 2012 saw some great films, and some real stinkers. I have seen 68 of them. These are my top 25 favourite films of 2012, and also the ten worst. 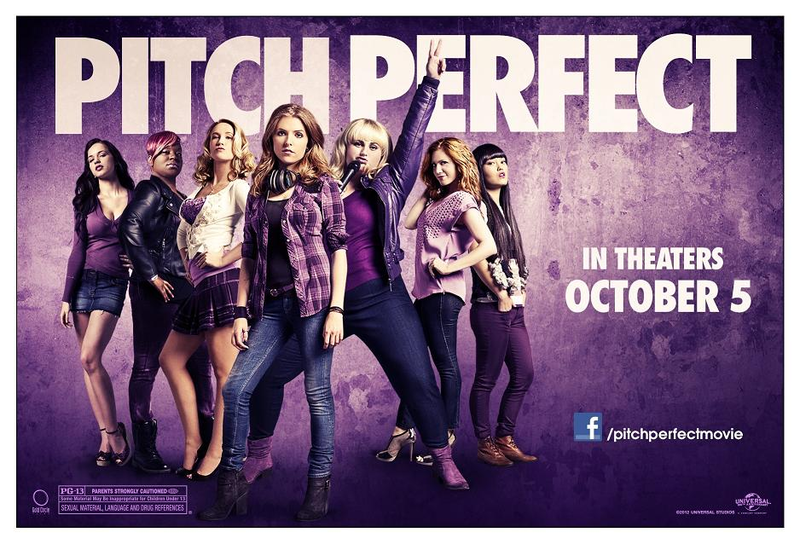 Pitch Perfect is a fairly original (at least in cinema) and entertaining Glee-inspired musical comedy that may be predictable, but it’s a toe-tapping experience that has a fine plot, great music, some strange characters (most notably Lilly, a character who looks like that creepy big-eyed girl from Frankenweenie), show-stealing performers (like Bridesmaids‘ Rebel Wilson who portrays Fat Amy) and a memorable ensemble cast. This is 40 is not quite as good as Knocked Up, but it’s a satisfying sort-of sequel. This is sometimes over-dramatic because of the numerous conflicts, but it is driven by fresh, laugh-out-loud comedy that helps Apatow get the message, of overcoming family differences and a mid-life crisis, across very well. Laughs, conflict, and advertisements for iPhones, Apple products, TV’s Lost, and a good role for Megan Fox are all present. Ted‘s screenplay may be crowded but we must understand that MacFarlane’s comfort zone is a mere 22-minute slot, while this is a whole 112-minute feature. 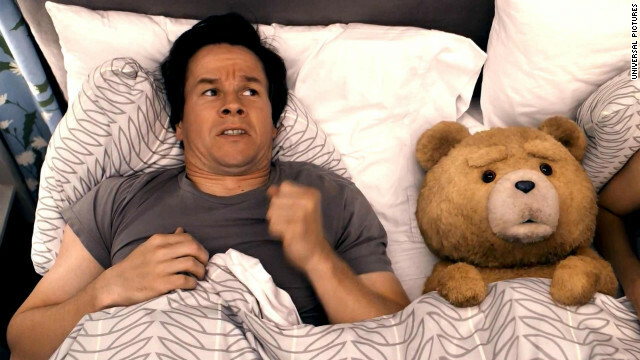 The end product turns out to be better than anyone would think a buddy comedy between a talking teddy bear and an immature man could be, and Wahlberg and Ted’s chemistry help make this one of the best buddy comedies of the year. I’m excited to see what else first-time director MacFarlane has in store for the silver screen, and I say bring on the sequel. The film starts out fairly slow, but once the games come around the bend, it instantly becomes intensely engaging and entertaining. The screenplay maintains the fascinating theme of propaganda [and how corrupt the government may become], but doesn’t capture the extreme violence that we fans handled in the novel itself, and there isn’t quite enough bonding time with select characters. The adaptation is nonetheless great, and since it was not followed to a tee, there is room for surprise. Anyone who is willing to accept this fresh experience will enjoy it, as it is a promising beginning to a new teen franchise. 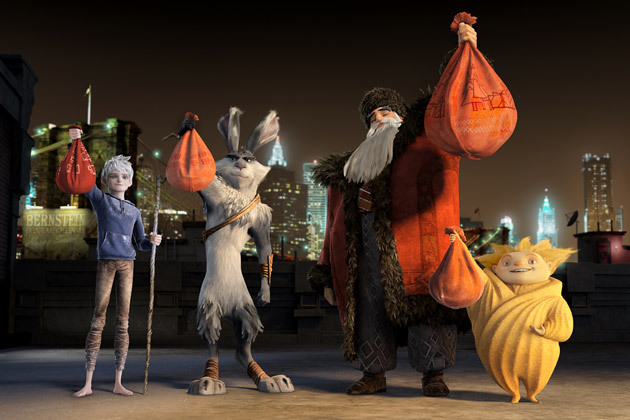 Rise of the Guardians is a slightly flawed, but wildly inventive, animated adventure that may have some deeply thematic material and action sequences that could be midly scary for small children. The main flaw is the disorganized beginning – but it finds its pace soon enough. The concept is a sort of edgy animated feature, but is a great end product. This is one of the most original animated features of the year, mainly because of the alterations to the beloved Guardians, like making Santa Claus look like a Russian biker, are very fresh. This is a great message to teach the kids this holiday season – don’t only believe in Santa around his season, also believe in all the other heroes, at least when their time comes around the bend. The dialogue of this film allows characters to be thoroughly developed and compelling concepts to arise. When the characters aren’t talking, it gets engaging and thoroughly thrilling. 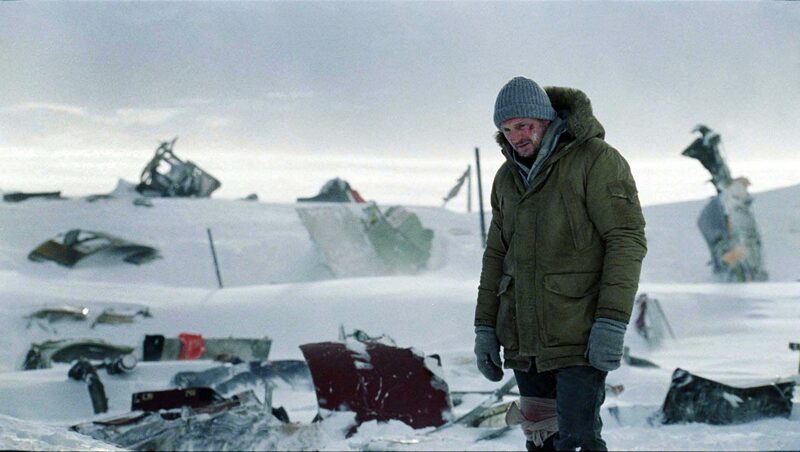 The anti-climactic ending says Carnahan has learned to resist throwing full-throttle action at us, and he instead resists the urge and keeps the astounding and exciting survival film as tame as could be. The mostly unknown actors make the spotlight shine directly on the star: Liam Neeson. Spielberg seems like, at this point in his career, is interested in making ambitious biopics instead of blockbusters like Jaws. The intelligent monologue-filled feature intricately throws information at you, and at times it can be quite a bit to absorb, but it is usually engaging. 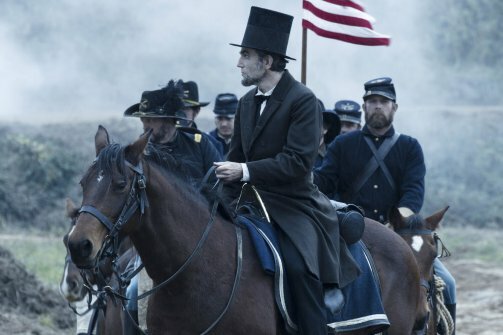 The cast of Lincoln is impressive, most notably Daniel Day-Lewis, who delivers a kind-hearted, endlessly charming performance that adds layers to one of the greatest figures in American history. 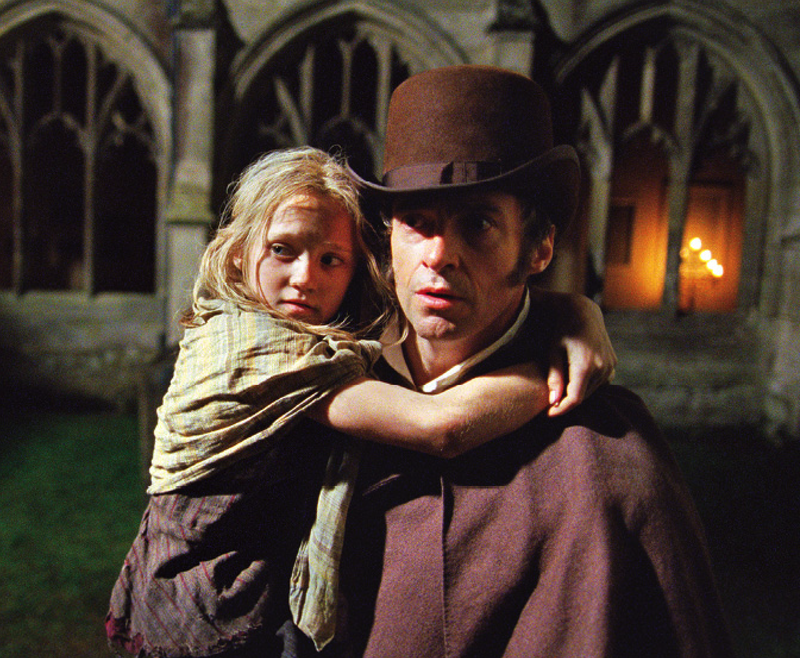 Day-Lewis captures Lincoln’s will to get things done, and his genuine and kind self. 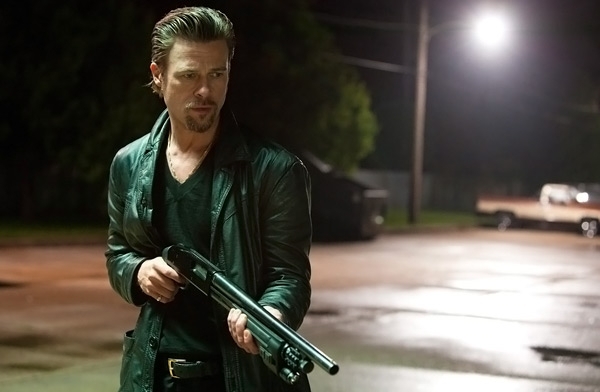 Killing Them Softly is a clever mafia tale of violence and despair with a great leading performance from Brad Pitt; with his mysterious character delivering us plenty of violence to keep us happy. This tale is also a social commentary on the local criminal economy in 2008, before Obama stepped into office – the concepts are complex, but there are not difficult to comprehend. The not-so-subtle message may be annoying to some, but the story is very engaging. It is a thought-provoking film brought to life by Andrew Dominik’s stylish and artistic direction. The abrupt ending keeps this from being flawless, but this is a stellar crime story with intelligent writing by writer/director David Ayer (who previously wrote Training Day) with some of the best chemistry I have seen all year. End of Watch does for the real lives of cops what Ladder 49 did for fire fighters, but it’s about twenty-six times better. 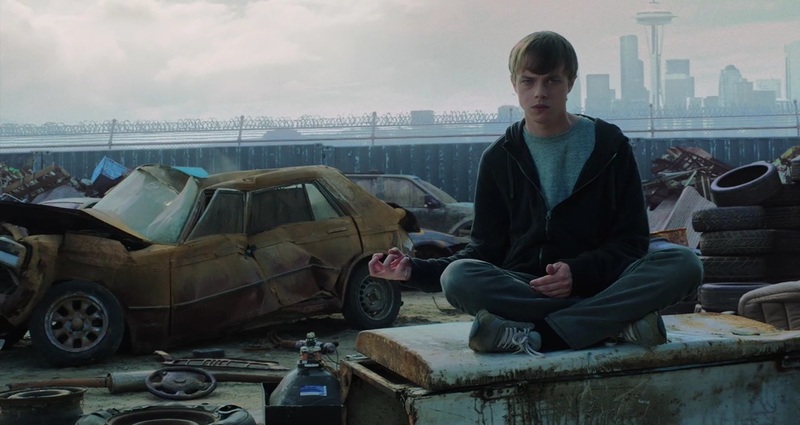 Chronicle is one of the most surprisingly amazing features of 2012. The rushed pace is its main flaw, but it is an awesome experience for the 84 minutes it stays around. It obtains must-see status because of its thoroughly thematic and disturbing content. It is the most must-see found-footage feature of 2012, perhaps of all-time. Seven Psychopaths has a clever screenplay and is a fantastic second feature from writer/directer Martin McDonagh. It is equal parts brutal, brilliant and hysterical. It is extremely memorable and has great characters and a superb ensemble cast. It is one of the most original screenplays of the year, and it’s another comedy that proves 2012 is one of the best for that genre. The story may have ideas crammed in the feature, it undeniably has a very emotional core. If the actors weren’t singing the vast majority of their dialogue, the film wouldn’t be quite as exciting or engaging. This combines a great period piece with a profound musical, and it makes this one of the best features of the year. Jonah Hill and Channing Tatum create a superb chemistry, and this is one of the finest comedy ensembles of the year. 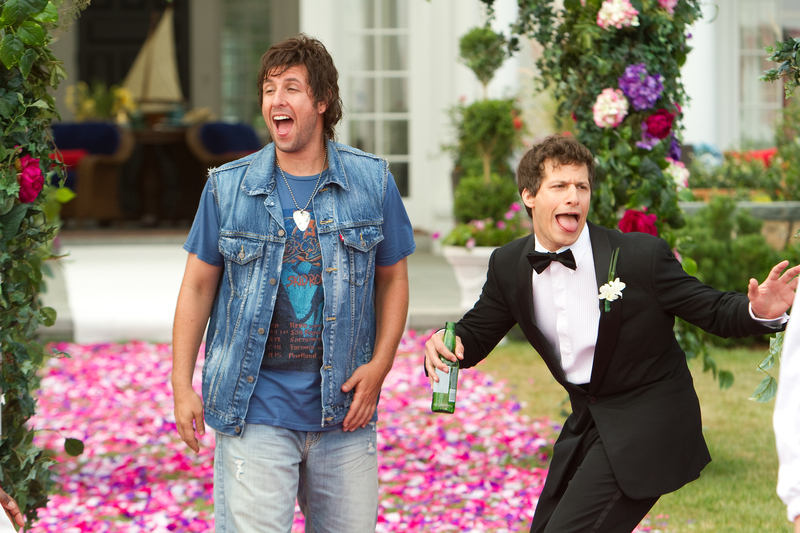 The comedy is always funny, and this is the best action-comedy of the year. The real bite about this is that no one expected it to be very good, and yet, it is a hilarious and exciting ride. Writer/director Christopher Nolan delivers us an impressive and atmospheric piece of cinema that has incredible thrills, great plot execution and great direction, character development that has room for improvement and a slow build-up that leads to an incredible climax. 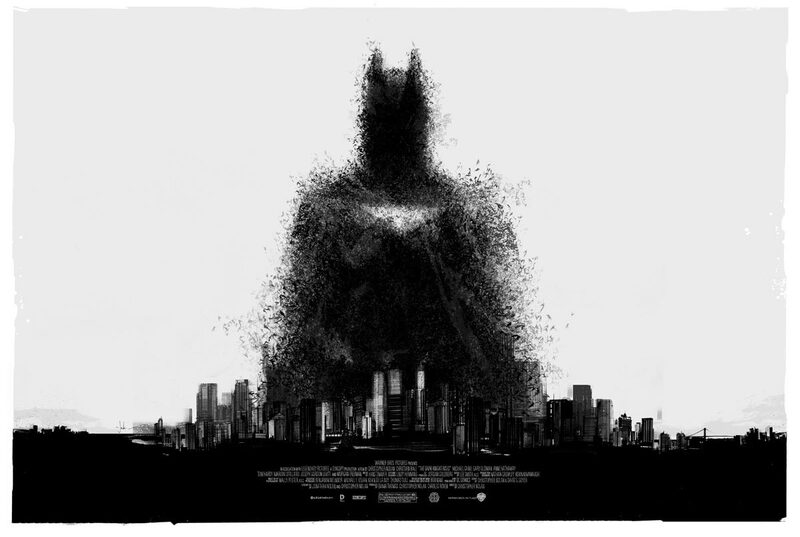 It is also a thoroughly impressive end to a great trilogy, it’s a slight step-down from the high standards set by The Dark Knight, but it is better than Batman Begins. 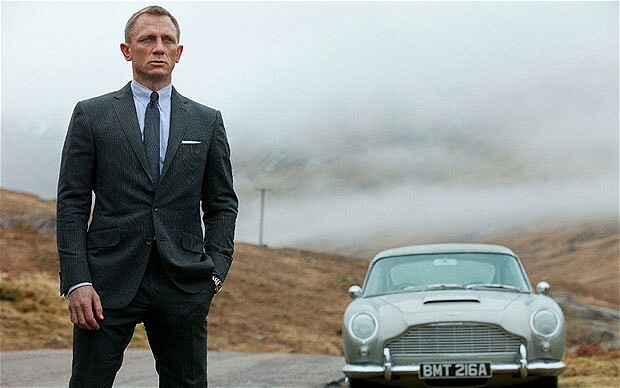 Skyfall is a compelling experience with great pacing, a great story and great humour. Javier Bardem is simply astounding. His presence is really worth the wait. He is one of the greatest criminal masterminds of recent memory, comparable to both Heath Ledger’s The Joker and Anthony Hopkins’ Hannibal Lecter. 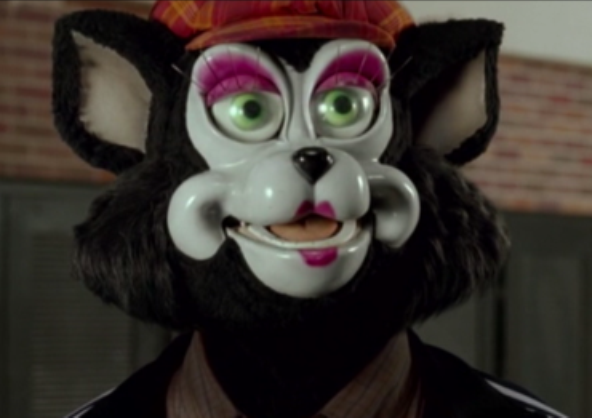 He is the second best villain of the year, right behind Leonardo DiCaprio’s Calvin Candie in Django Unchained. Looper offers an entertaining and memorable action experience with a great story and characters, making it a film that should be cherished. Looper is slightly flawed because of a sometimes crowded screenplay and numerous antagonists, but it has a complex story that’s surprisingly easy to follow, with great characters like Jeff Daniels’ nice-guy-ruthless-when-he-wants-to-be crime boss. The Hobbit: An Unexpected Journey is a thoroughly satisfying start to a new Middle Earth trilogy. Its usually silly undertone may frustrate some, but to most, like myself, it makes for a great experience. The many expendable dwarfs may get a lot of the attention, but it is very much Bilbo Baggins’ show. 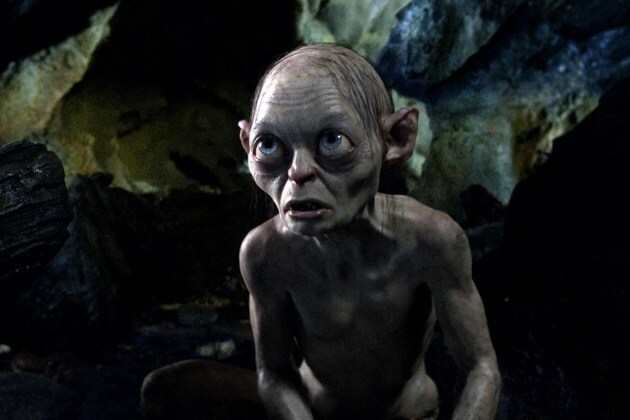 That is until the show-stealing Gollum shows up for one of the best scenes of the feature. 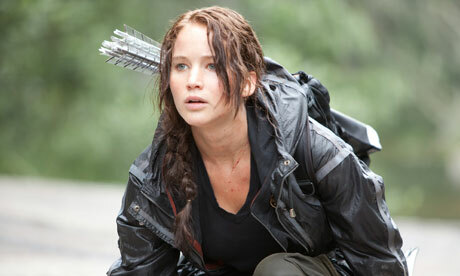 I cannot wait to see what the trilogy looks like when all of the films are released. 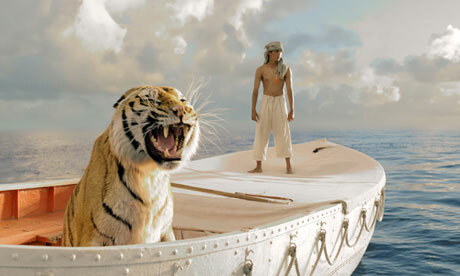 Life of Pi is interesting because it is not afraid to bring in concepts of faith and religion. It is also visually beautiful, sometimes funny, thought-provoking, magnificent, terrifying and saddening. There is also a great story, great direction, wonderful cinematography, great conflicts and relationships present. The actors bring it all to the table, and a short list of performers carries the film very well. This is one of the best films of the year that will be a large Oscar contender. If you’re going to see this, see it in its full 3D glory. The drama is solid and the overall film if profoundly enjoyable, compelling, emotional, sometimes funny and often gripping. The suspenseful scene at the beginning is the only action scene in the feature, and it soon turns into a character study, with fascinating concepts of addiction. Those who find the concept of addiction fascinating will enjoy this even more. Many may think it is simply just another teen slasher, but what gets thrown at you is surprising, extremely fresh and endlessly entertaining. This is one of the most original horror films of all time, with signature bites of comedy from Joss Whedon. 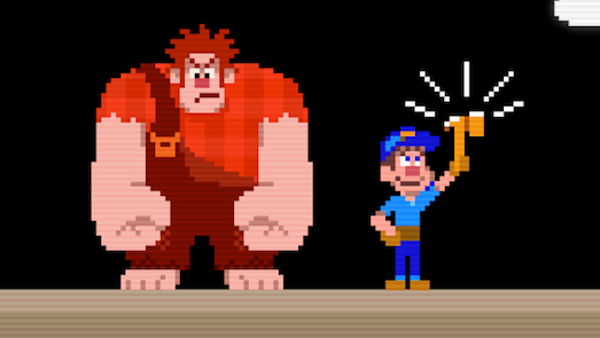 Wreck-It Ralph is the finest animated feature of 2012 and is generally one hell of a nostalgic and enjoyable film. This is like the Toy Story for a new generation. Disney has delivered us a great film yet again, and mashed two generally loved things together: their acclaimed animation, and video games. I had high expectations for this film, and this really rocked my world. One of the most captivating things about the nerve-racking Argo is the boiling suspense of the situation, and the viewer can just feel it build throughout. Argo plays out like an assassin giving you his first choke-hold, he’s inexperienced and you may feel the grip loosening from time to time, but then it strengthens again and doesn’t let go until the very end. Silver Linings Playbook is hilarious, beautiful, meaningful, sad, emotional, and very dramatic at times. It is a truly magnificent blend. One thing that helps the film is the impeccable writing by David O. Russell, and Matthew Quick who originally wrote the novel. The viewer may not be able to relate to the exact situation of these characters, but they could fully understand their motivations – and most may have felt similar emotions that these characters express on a daily basis. The profound analysis of teenage angst is accurate, brilliantly touching, and heartbreakingly poignant. The performances are great, the story is awesome, and the atmosphere it offers is perfect. This is a film that I’d like to watch over and over. That’s one heck of a definition for an enjoyable experience. It’s a fine, under-seen classic of 2012 that can define a generation as well as John Hughes could. If it comes to your town, get off the couch, grab a few friends – but if you don’t have any, it’s okay to be a wallflower – and go see this movie! 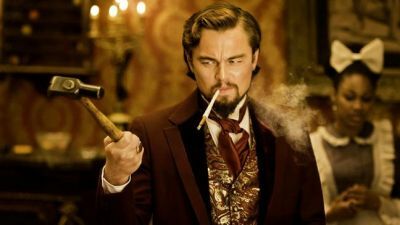 Django Unchained is a modern masterpiece, and is Tarantino’s finest film yet (even if I’m the only one to think so). It’s a great story about survival and it has great themes of racism and slavery, that Tarantino explores expertly. The performances, the writing, the soundtrack the direction and the themes are all immaculate. Leonardo DiCaprio plays the best villain of the year. Well, there you have it. Hopefully you agree with some of my picks, like them, dislike them, or even detest them. Feel free to leave comments!